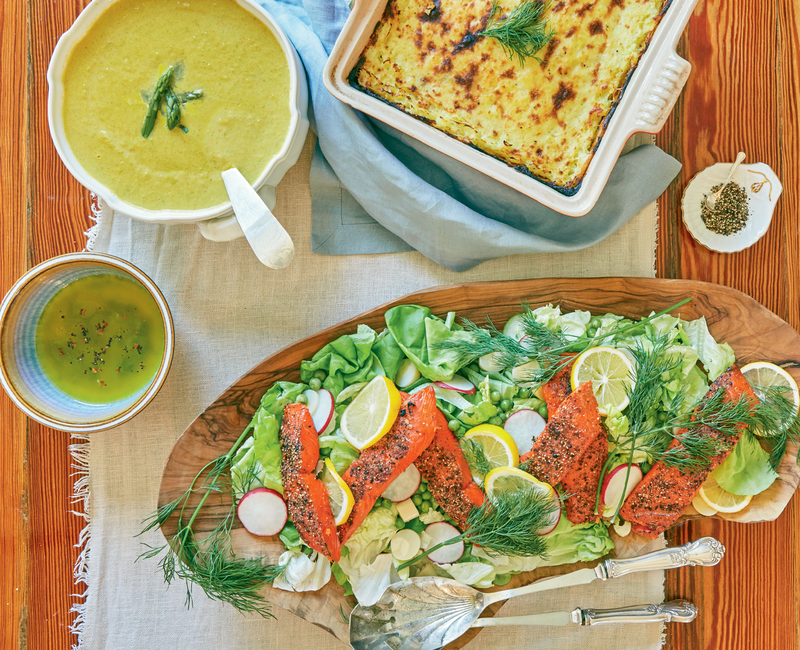 A grilled salmon salad with a bright vinaigrette, asparagus soup, and a meat-less spin on shepard’s pie round out advanced sommelier Patrick Emerson’s spring menu. A supper of salmon salad, soup, and “shepard-less” pie awaits. Salmon steaks are grilled skin-side up, making them a juicier addition to the greens. 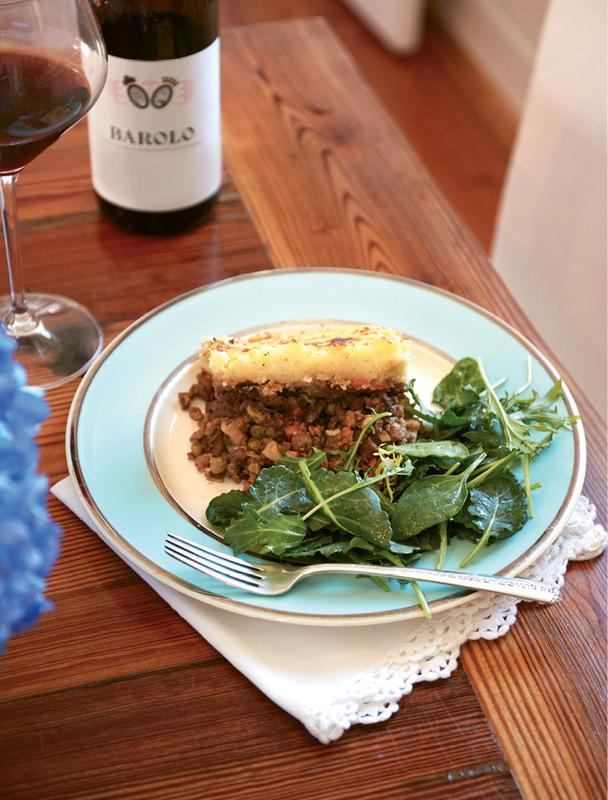 Emerson riffs on traditional shepard’s pie by using soy meat crumbles; for a more classic version, you can substitute one pound of minced lamb. Thinly sliced radishes and English cucumbers add crispness to the side salad. 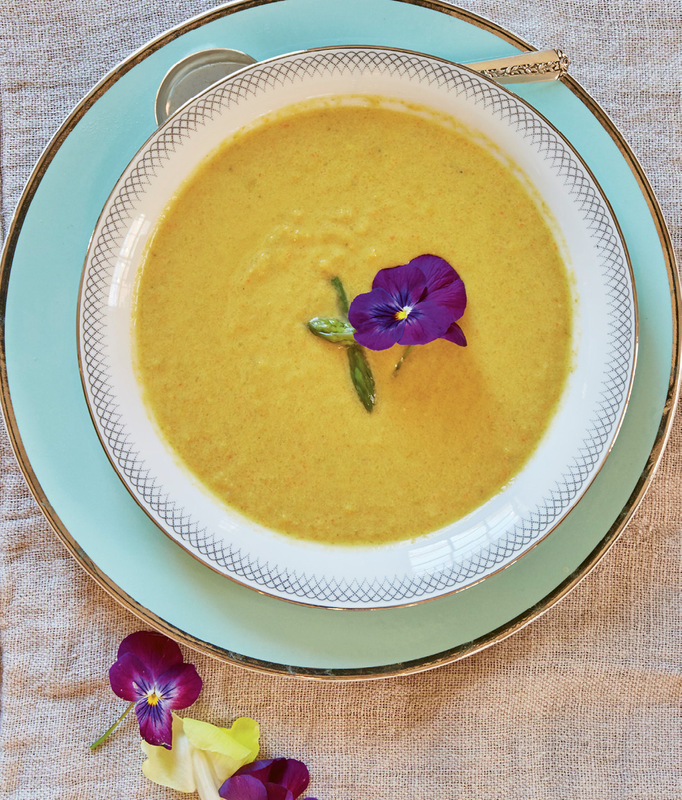 Garlic, veggies, and grated cheese are blended in creamy asparagus soup. 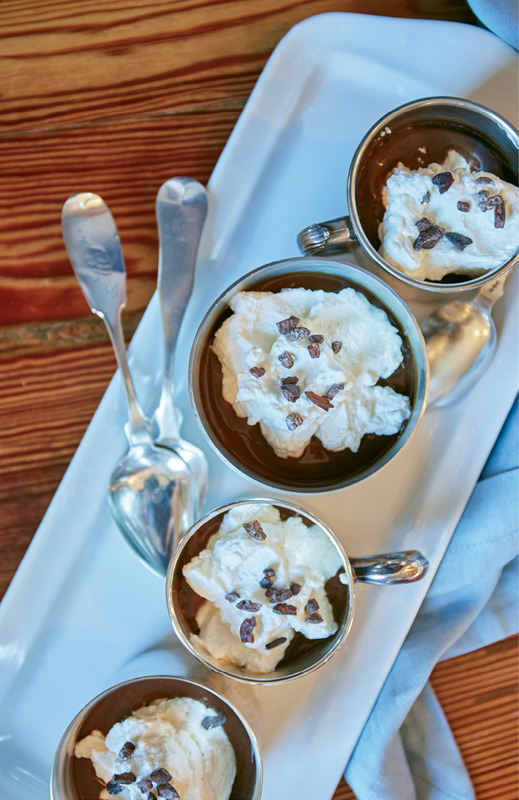 An old family recipe for rich chocolate mousse gets an extra-indulgent boost from dark rum. Kids Lily (center) and Luke and friend Sydney join Anne and Patrick in the kitchen. 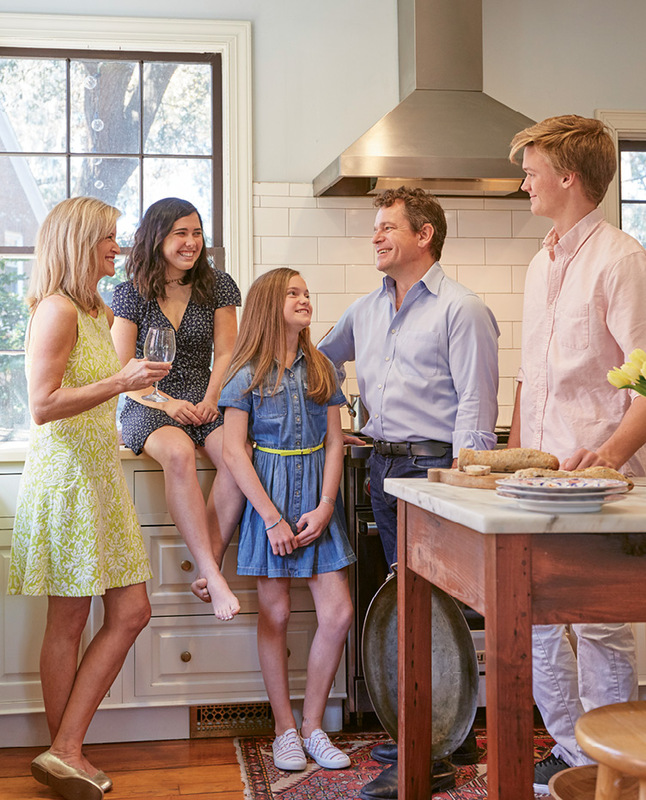 PHOTO: Patrick and Anne Emerson with their children, Lily (center) and Luke, and friend Sydney. 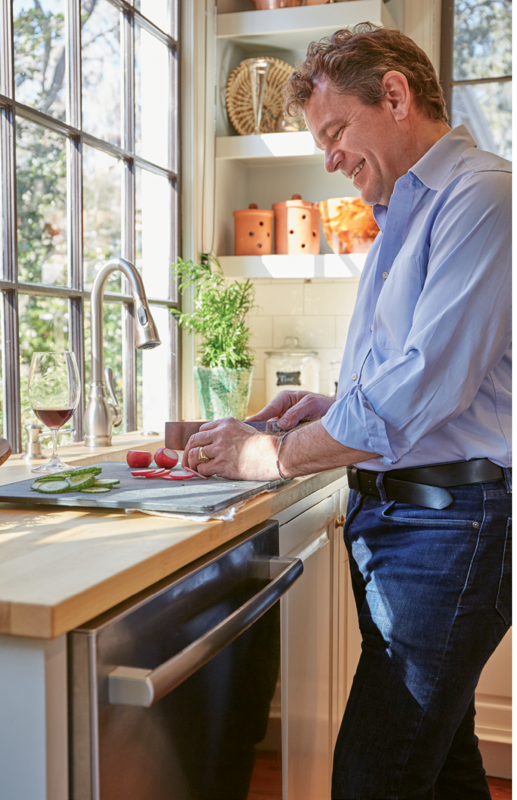 His home cooking reflects time in the kitchen with his grandmother, who loved to entertain, as well as a knack for balancing acid, fat, complexity, and depth of flavor—the product of being a skilled sommelier. 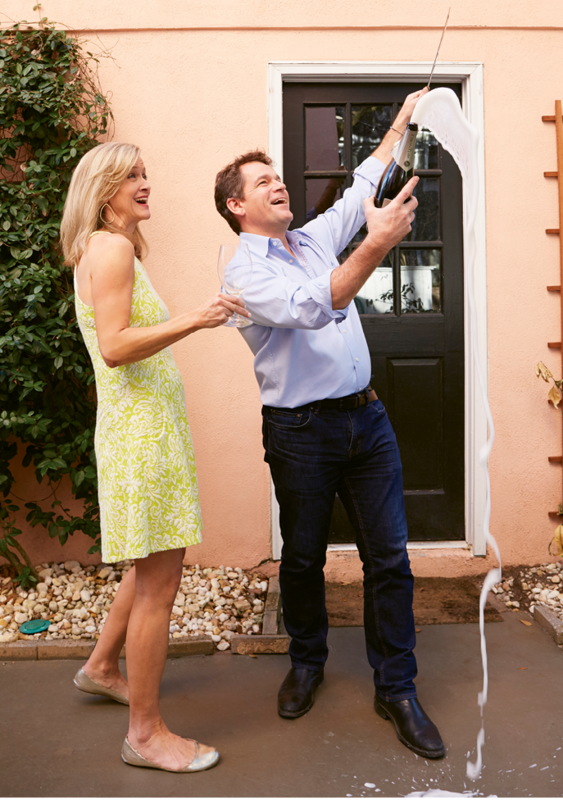 His riff on a traditional springtime supper hints at his global exploits. Though he admits the food of his childhood in England was “quite diabolical,” some dishes from his younger days remain on the family menu. As his grandmother did, Emerson makes a stock for asparagus soup—only his version is vegetable-based. He then simmers the asparagus stalks before blending them smooth and finishing with a generous pour of heavy cream. PHOTO: A supper of salmon salad, soup, and “shepard-less” pie awaits. 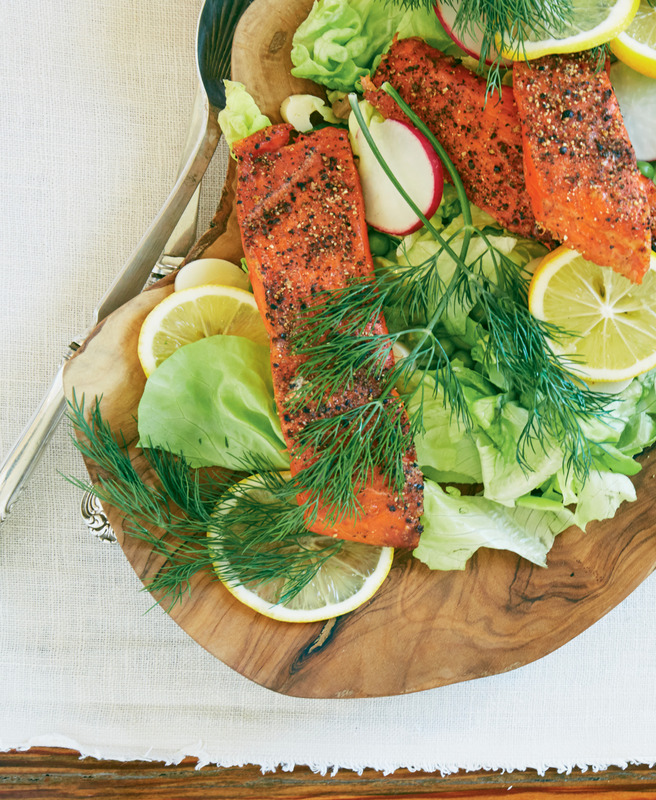 A grilled salmon salad nods to his and Anne’s time in South Africa. “In Cape Town, if we wanted to eat pescatarian, we had to learn to cook for ourselves—so we began grilling local fish.” He perfected the art stateside while working under S.N.O.B. chef Frank Lee, who taught Emerson to grill salmon skin-side up so that the delicate flesh retains moisture. 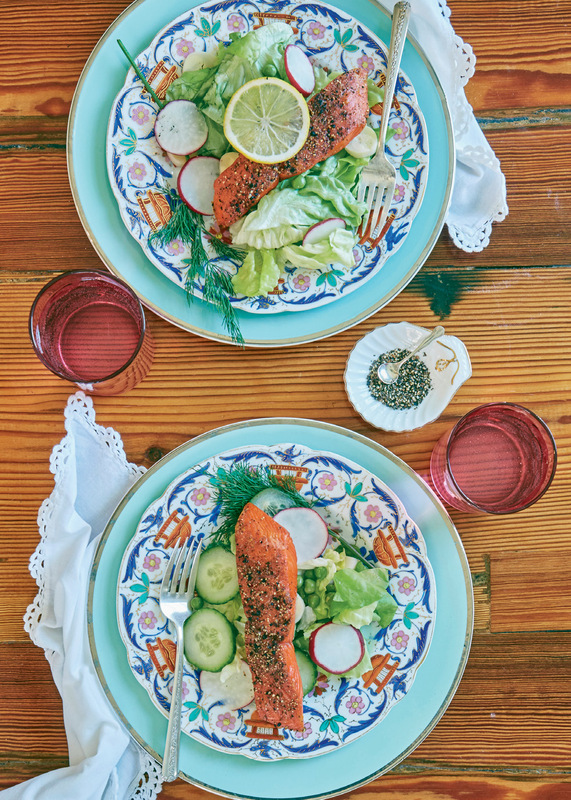 The pink fillets are served atop butter lettuce, dill, cucumber, and radish slices drizzled in homemade lemon-garlic vinaigrette. For a “shepherd-less” spin on the classic U.K. pie, Emerson swaps soy meat for traditional minced lamb, tossing the meat-less mixture with mushrooms, carrots, garlic, celery, and Brussels sprouts. Atop this base, he layers the obligatory mashed potatoes. “I tend to avoid potatoes,” he explains, “but if you’re going to blow your diet, do it with ace potatoes.” To prevent a gluey texture, Emerson soaks peeled Yukon Golds for an hour to remove any excess starch before boiling them in salty water. Armed with his favorite kitchen tool, the hand masher—“It’s just so primal”—he smashes the potatoes with butter, sour cream, mayo, and mustard. And if the diet’s going all to pot, you might as well finish it off with an indulgent dessert like boozy chocolate mousse. The rum-spiked recipe comes courtesy of Anne’s family.